« The CalPop fun continues..
For those of you think the economic sky is falling, I’d like to offer a little reminder. I first mentioned this in 2002 (I think) on sheer.us – but, basically, if you look at a long term graph of the DJIND, you can pretty clearly see that it went nonlinear in a big, and kind of insane, way. 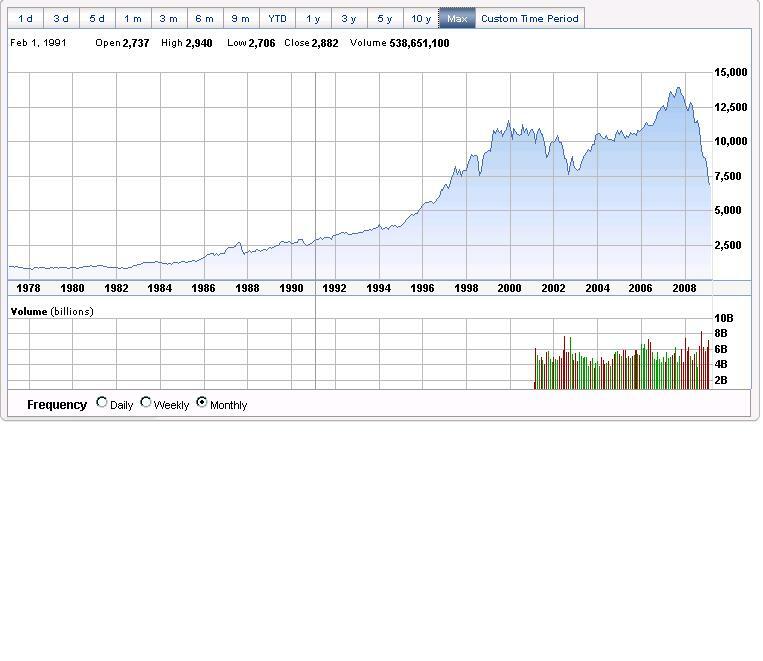 Below is a 30 year graph of the DJIND, courtesy of e*trade – anything strike any of you as, um, funny? This entry was posted on Monday, March 2nd, 2009 at 12:58 pm	and is filed under Uncategorized. You can follow any responses to this entry through the RSS 2.0 feed. You can leave a response, or trackback from your own site.